FREE LEGO Store Build on Jan. 6! You are here: Home / FREEbies / FREE LEGO Store Build on Jan. 6! If you have a LEGO store nearby, there’s a fun, FREE activity for the kids coming up! On Tuesday, Jan. 6, you can head over at 5 p.m. for a FREE LEGO Store Build! 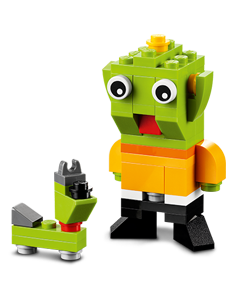 This month, kids will be able to build a mini LEGO alien and space dog! Quantities are limited, so make sure you get there early! Thanks, Two Kids and a Coupon!